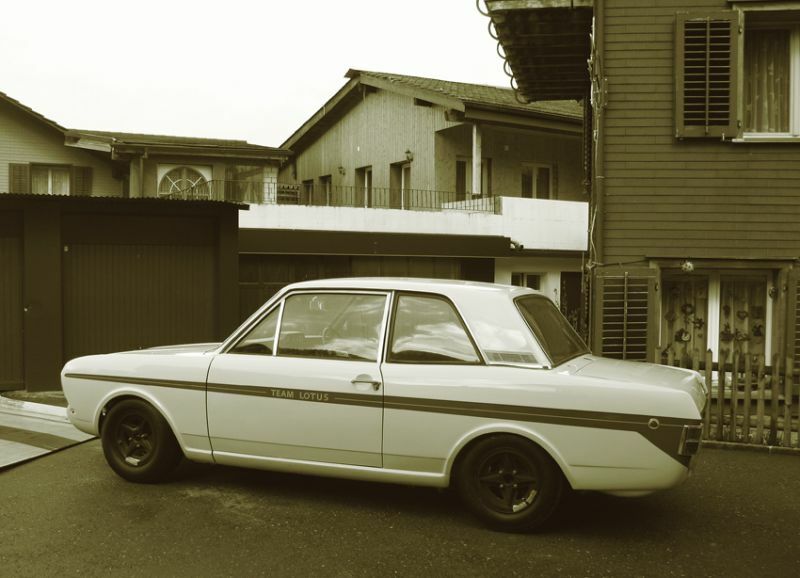 ex-works MK2 Lotus Cortina now in Switzerland! Graham Hill driving CTC14E. Photo by Peter Darley, author of "Jim Clark - Life at Team Lotus". 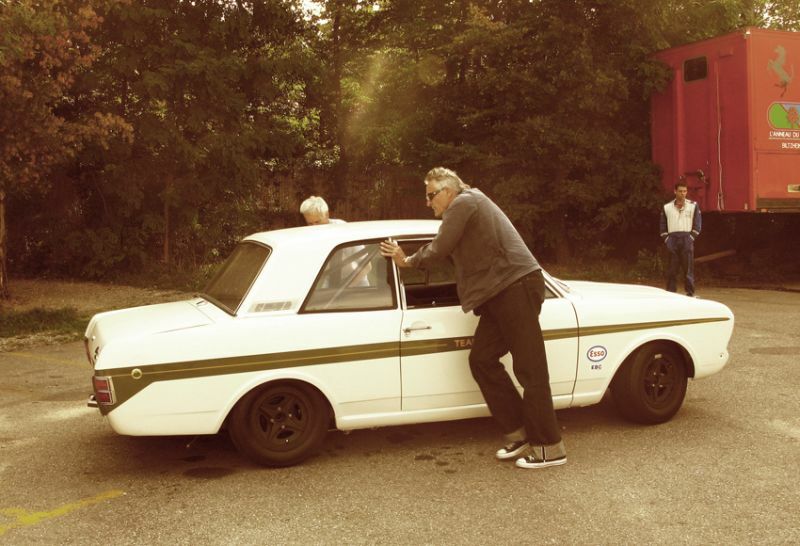 "I am sending you some information on my new baby a Works Lotus Cortina MK2 with an FVA engine in it- a very rare, original works car from Colin Chapman from the year 1967. Here are some pictures of my car. It was sitting 30 years in a museum in England. Then bought from the museum, then restoration started- but never finished-so I was able to buy it!" "The pictures (above) of the car with the works-wheels, all magnesium, and after a little paint job. It is now in Zurich." "You can see it racing under (http://www.youtube.com/watch?v=pYQKKlir6sY) racing with Graham Hill at the wheel!!!" 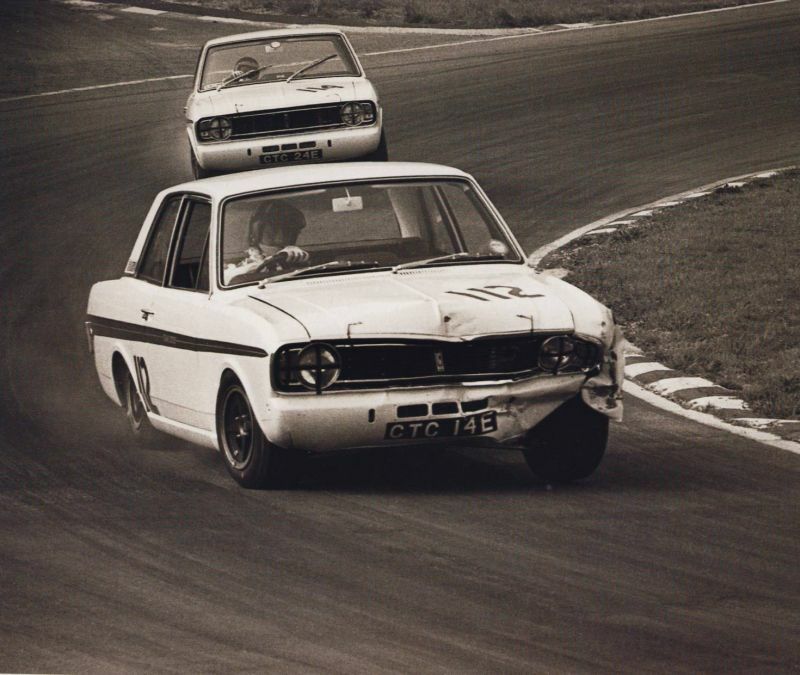 "2 MK2 Lotus Cortinas were prepared at Cheshunt by Lotus, one works car for Jacky Ickx and the other for Graham Hill. 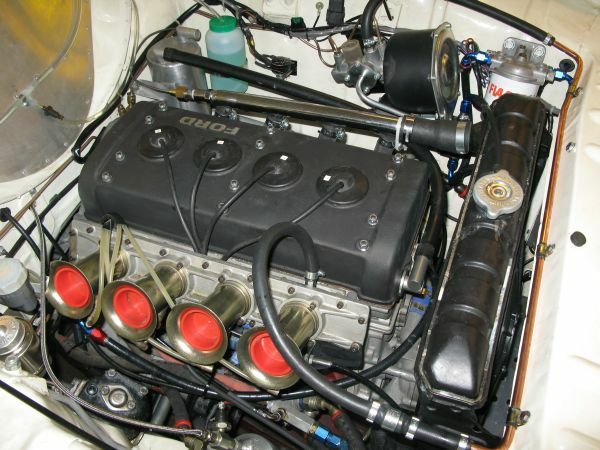 The 2 Lotus-prepared works cars were identical- both cars had the then new FVA Ford Cosworth 4 valve engines. The Lotus prepared cars' suspensions were very different from the normal MK 2 cars. 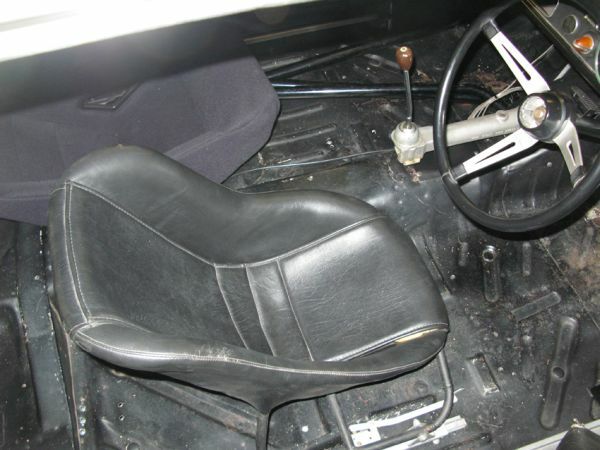 Also the back-axle, much stronger, different mountings and the rearsprings were very sophisticated and expensive- but that's why the cars handle so well. A third car was built at Borneham/Ford, and it had some differences, including different back-axle mountings, and special rear disk brakes." 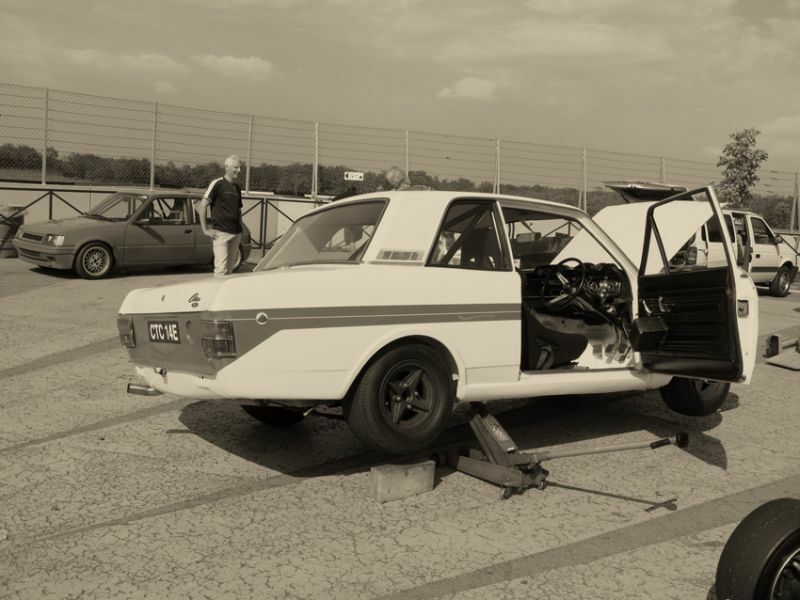 "They always beat the then-new Porsche 911, which was put (Suprisingly, it was declared as a 4 seater Tourig car)) in this Group 5 series in 1967 (Special Touring Saloon Cars)." To read about Peter Darley's book, visit http://www.coteriepress.com/CP_ProductDetail_01.php?Manufacturer=Lotus&Productid=73.